Is this a comprehensive exam??? According to the 1995 guidelines is this a comprehensive exam? Does the 1995 guidelines say that to qualify for comprehensive exam you must have 8 organ systems and not a combination of organ systems and body areas. We are having a conflict. Exam: GENERAL - temp 97.6, pulse 132, resp 22 & b/p 144/52. HENT - appears normocephalic. Nares patent. Oropharynx is a little bit dry. Face, however, appears symmetrical. She did say a few words and her speech was relatively clear. NECK - supple without lymphadenapathy. LUNGS - she has a little bit of coarseness, I think it would clear well with a cough. HEART - was regular buy tachycardic. ABDOMEN - soft & nondistended & nontender. EXTREMITIES - she will not move her hands. She does not have a hand grasp. They were actually very limp on first inspection. SHe has no excessive edema. SHe has adequate peripheral pulses. NEUROLOGICAL - for the most part unresponsive. Her pupils seem sluggish. She has no had grasps. She was able to open one hand on later examination and I did see her raising her ands up to her forehead at one point. PLease advise. Thanks. 4. Under the Examination Section of the 1995 Scoresheet, can we combine the body areas and organ systems? No. The examination section of the 1995 scoresheet is divided into body areas and organ systems. The Current Procedural Terminology (CPT) manual recognizes 7 body areas and 12 organ systems. Depending on the documentation in the patient's medical record you can use either the body areas or the organ systems. There is a dotted line between the body areas and organ systems indicating you must choose one or the other. If you combined the body areas and organ systems you would be giving credit twice which would be incorrect when determining the final score for the examination section of the scoresheet. An example could be: the documentation in the patient's medical record stated, abdomen soft, credit can only be given in the body areas under abdomen or in the organ systems under GI which ever area benefited the physician the most. However, if you use body systems, based on the documentation in your example, Abdomen would qualify for GI, Extremities could be used for Musculoskeletal and Cardio (for Edema and peripheral pulses), General is Constitutional for the vitals, Neck - lymphphatic system (lymphadenopathy), Lungs - respiratory, Heart - again cardio, Neurological. Pupils are sluggish could be under eyes. You have at least 8 systems which would be a Comprehensive Exam under 95 guidelines. For most of the body areas, the documentation can cross over to a body system. I agree with Jdibble. Don't go by the "labels" of each section. 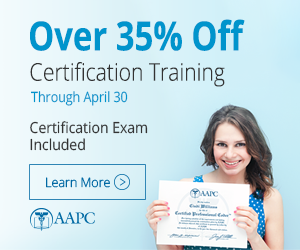 Go by what is documented, You have a comprehensive exam.